Netbooks are fantastic portable devices. They’re portable, lightweight and–perhaps best of all–really cheap. But netbooks can seem hopelessly limited when used with standard desktop operating systems such as Windows or Ubuntu. This is why I recommend every netbook owner look into getting a netbook operating system. A netbook OS is, simply put, an operating system designed with netbook users in mind. These will leave out features netbook users never need, such as CD burning. 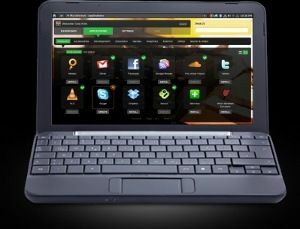 They also typically feature a user interface that keeps in mind the limited real estate netbooks feature. Currently, the best netbook operating systems on the market are Linux-based, and most of those are based on Ubuntu. If you’re not sure what your options are, you’ve found the right article. Below are four excellent systems you can download right now, and another to keep an eye on for later this year. Most Linux netbook systems seem to be based off of this one in some way or another, so it’s really worth starting with Ubuntu Netbook Edition (previously named Ubuntu Netbook Remix.) 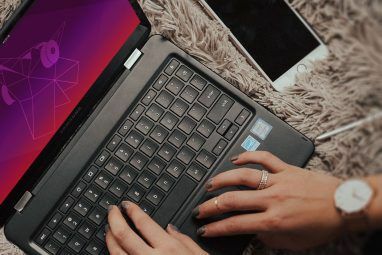 In March of 2008, the folks at Canonical launched this operating system, attempting to establish the Ubuntu brand on the rapidly expanding netbook market. It worked: Dell sells Ubuntu netbooks and Canonical is reportedly working out a bunch of other deals. This operating system wasn’t exactly designed from the ground up. It’s a Gnome-based system including most of the standard Ubuntu apps (Firefox, Open Office, F-Spot, etc.) What makes this setup different is compatibility with netbook hardware, and a GUI tailor-made to take advantage of the limited real estate netbook screens feature. You don’t need to buy a Ubuntu netbook to make use of Ubuntu; you can install it on your netbook right now. Find instructions for doing so and a download over at Ubuntu.com. I’m not going to lie: this is the OS on my netbook right now. In fact, I’m writing this post from Jolicloud. I explained my love for this system in a recent post Jolicloud: The Operating System Download for Netbook You've Been Looking For Jolicloud: The Operating System Download for Netbook You've Been Looking For Read More . 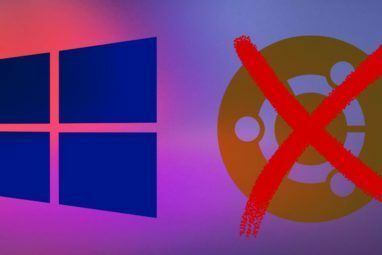 I won’t rehash too much here, so read the above article to find out more, but know that this system takes all that is good about Ubuntu Netbook Edition and builds from there. You’ll find an incredibly easy to use app installation process, apps customized to work well with your netbook and much more. It’s also worth pointing out that this system is compatible with most netbooks on the market; check out a list of working computers here. Find Jolicloud over at Jolicloud.com; you’ll even find instructions for a simple installation. This one’s not exactly a netbook operating system per se, but it can make a pretty good one. Crunchbang is based on Ubuntu but focuses on “speed, style and substance” to quote their website. Based on the lightweight Openbox window manager, Crunchbang certainly is fast and could run really well on your netbook. I highly suggest trying this out if traditional netbook operating systems don’t work out for you. Find a download over at crunchbanglinux.org. Ubuntu Netbook Edition is great, but a lot of things don’t work out of the box. MP3s, for example, can’t be played until you install the codecs. EasyPeasy aims to be simple by offering propietary applications and codecs out of the box. You’ll be pleased to find MakeUseOf favourites including Skype and Picasa included by default. Back in December, I raved about the Moblin project in an article entitled “The Moblin Netbook OS – Giving Chrome OS a Run For Its Money.” Well, since I wrote that article, Moblin merged with Nokia’s Maemo project to become Meego. There’s no downloadable version of this system yet, but based on how excellent Moblin was, I’m expecting big things. Keep an eye on this project, and know that I’ll write a review here at MakeUseOf as soon as something solid comes out. For now you can still download the old Moblin at moblin.org and keep up with the Meego project at meego.com. There are a number of great netbooks on the market, and a bunch more great netbook operating systems worth trying out. I’ve only highlighted a few of the pack leaders worth checking out, but there’s a lot more beneath the surface if you’re willing to dig. Do you know of any more netbook operating systems worth checking out? If you do, please share in the comments below. Sharing is caring. Explore more about: Netbook, Ubuntu. "Welcome, to the home of the CCNA award winning Eeebuntu and EB4 :) Our new EB4 beta has been released so to download and test it out just....... "
Have alook at Leeenux Linux. This is based on Unbuntu but is optimised for the Asus 70x. There is also a separate version for the Asus 90x. This started as a personal project by one person but has grown. They are now working on V4 which will be based on Ubuntu v10.x. Ubuntu Netbook and Mint have a major problem, at least on the popular Acer Aspire One. Neither of them give the correct aspect ratio (and you can't select it in screen setup). I haven't tried Joliec;oud yet. PCLOS, though it does not have a netbook specific app, gives the correct aspect ratio, and is excellent otherwise. Very interesting article. My son's grandmother just bought him a netbook with the WinCE OS. We haven't received it yet but after reading up on it, I found that it cannot run Flash websites / movies which is the main reason she bought it so he could view PSBKids all day...lol. Are any of these systems capable of running the Flash player and is there anywhere I can find instructions on replacing one OS with another? There are several reasons. One being cost, a netbook loaded with one of these OSs will cost less then a netbook that comes loaded with windows due to not having to pay for a license. Second netbooks are used for light activities such as multimedia, web browsing, email, and chatting. For these things a lighter OS that will run and boot faster than windows on the same hardware is more appealing. Also when using a lighter OS made for netbooks you tend to use less power getting more time per charge. I don't think today's Netbooks are so poorly equipped that they deserve not be run with Windows. Personally, I use Windows 7 Ultimate 32 Bit on my Packard Bell Dot Ge02, and am busy testing Chromium OS. But why don't run Windows? The speed isn't an issue at 1.6GHz and 1GB of Ram. Or what is the point of not using it? > including Skype and Picasa included by default. Are they at least alerting the user on the fact she is about to use proprietary software ? What about software freedom. I'll stick with Kubuntu or Debian ! hiï¼Œauthor Justin Pot, I have translated this post into Chinese. i have been using eeebuntu since day 1, and i have been very happy with it. i recently moved from eb3 (yes they changed the name in the meantime) to eb 4.0 beta and i have to say that i am very excited to see eb4.0 final. 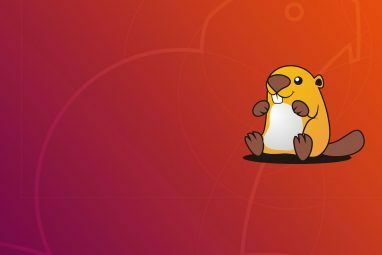 Crunchbang used to be based on Ubuntu, now it's using Debian (Squeeze). You have the option of OpenBox or XFCE, plus Crunchbang's XFCE is much more optimized than Xubuntu. I have a 2g hard drive, and the problem is that many of the netbook OS's need at least 4g. So... any suggestions on a VERY lightweight OS? Slitaz (30MB .iso) and Puppy Linux (104MB .iso) are very lightweight complete Linux distros. I don't understand why Gnome/buntu would run any faster on netbooks??? I am using Linux Mint on my Samsung NC10 with either Gnome or LXDE. I have used UNE b4, which was way too slow. But Linux mint works, works and works for me. I'm extremely pleased at the inclusion of Jolicloud and Crunchbang (#!). Those are two very competent netbook OSs that have given me huge amounts of enjoyment over the last 2 years or so. I never knew about half these alternatives, and I've had an Acer netbook for the past 2 years. Guess I need to think beyond Windows OS when it comes to a 10" screen size. Of course, I could always get an iPad, and get the best of both worlds, but that's another story.